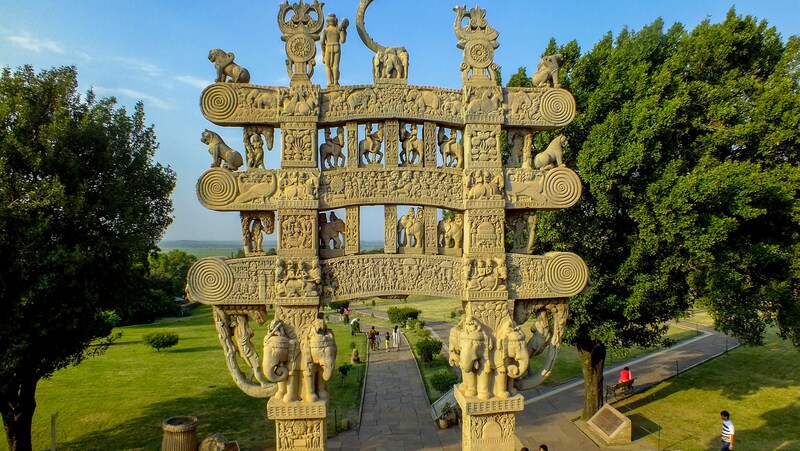 Sanchi needs no introduction – most of us remember it from our history books. However, I dont think Indian education system does justice to all these magnificent monuments left behind by kings long gone by. 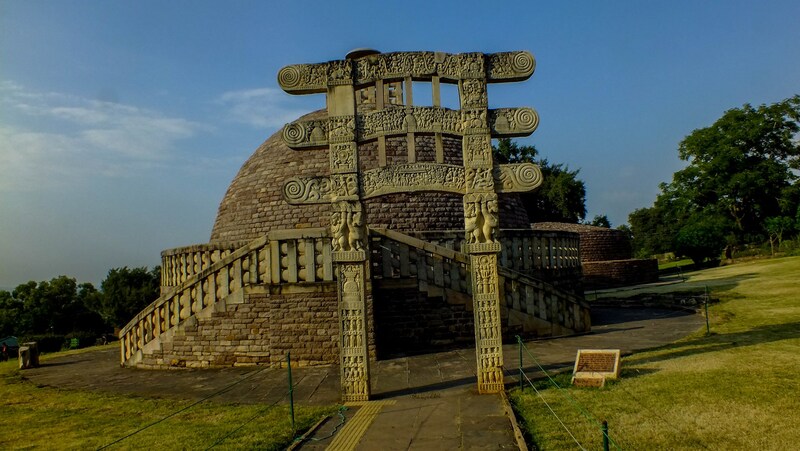 For example, the Sanchi Stupa is the sole surviving stupa built by Emperor Ashoka – and the oldest surviving stone structure in India (thank you wikipedia). Legend goes that after Buddha was cremated, his ashes were divided into 10 parts and they formed the core of 10 main stupas built by Emperor Ashoka. 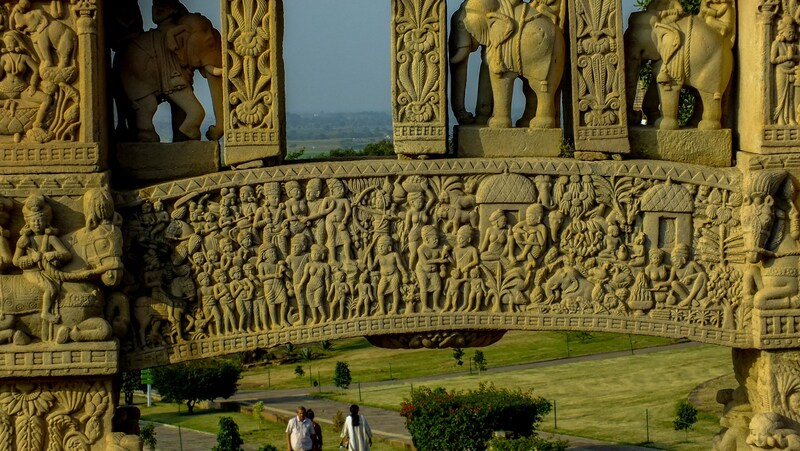 The location of 8 of them are lost, only two are known – Sanchi and Sarnath. The one at Sarnath has been rebuilt around 500 AD (by Gupta rulers probably), with only the basement surviving from Emperor Ashoka’s stupa. When we walked out of the parking area into the compound, we were quite impressed. 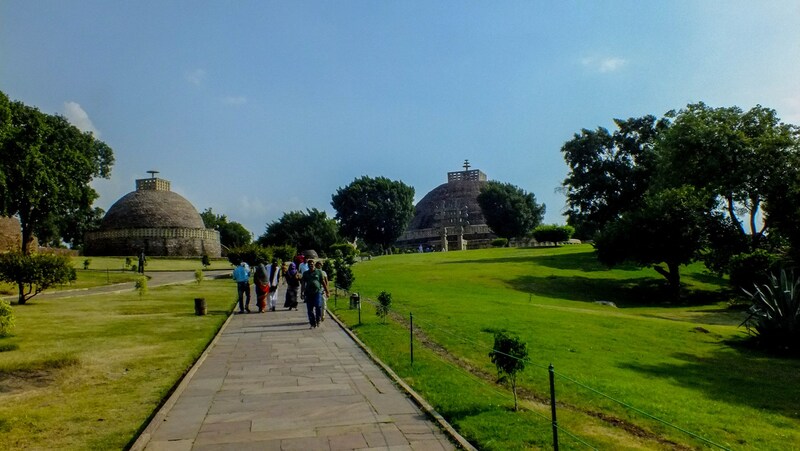 ASI has kept the surroundings very clean, with verdant green grass all around and the road approaching the stupas free of encroachments. 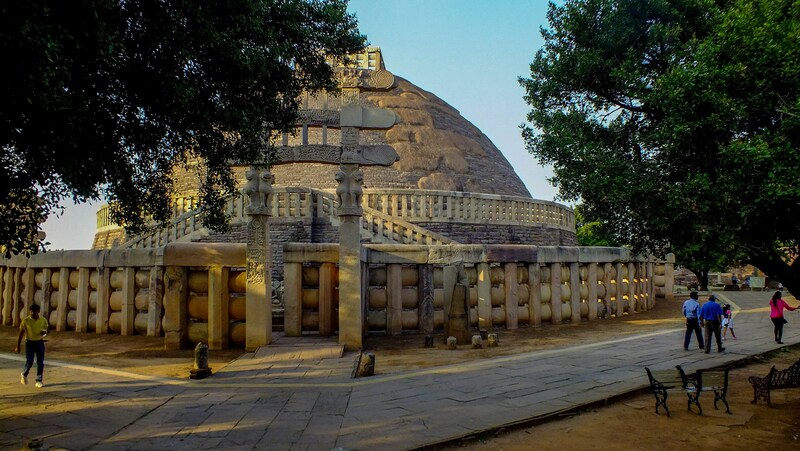 The Great Stupa of Sanchi is a little underwhelming in size initially – I had imagined that the best known stupa in the world would be a little bigger/grander. It also seems to be somewhat worse for the wear for its 2300 years, with the main dome seeming patched up in places.